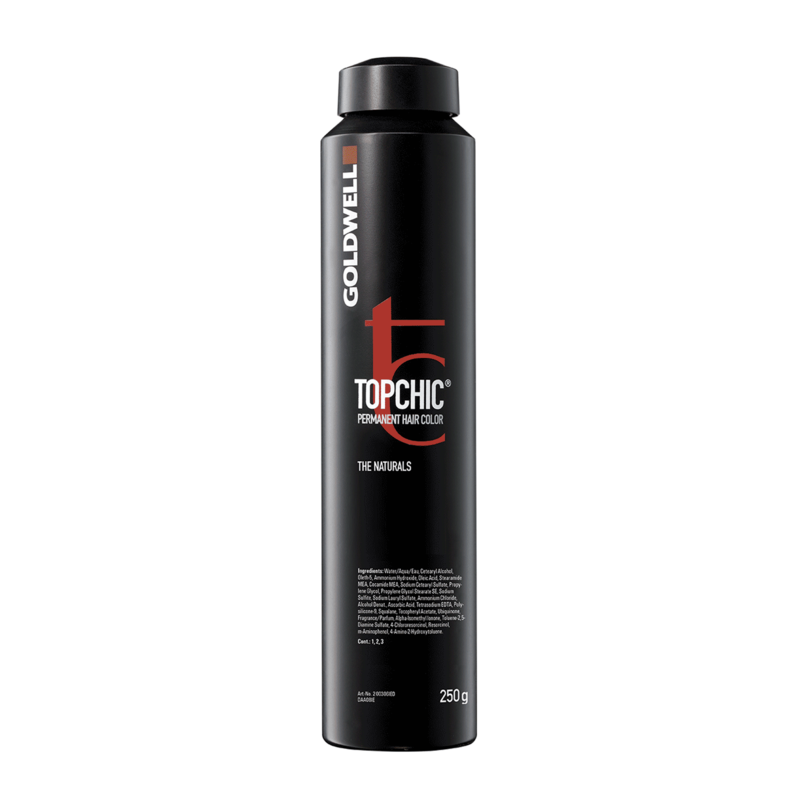 Intelligent color for distinctive beauty - Topchic is dedicated more than ever to a stylist's greatest passion and motivation: Being a true color expert. Creating distinctive beauty is your goal. Topchic has the perfect Solution: An Iconic and truly intelligent color system in which all shades are perfectly adjusted to each other. THE BROWNS - Rich warm browns and elegant cool browns. THE REDS - Vibrant Warm Reds and Cool Energy Reds. THE MIX SHADES - Intensifying and Neutralizing Mixers. Improved performance for complete variety: from classic N shades, cool NA shades, intense NN shades to premixed TriFlective Naturals. All guaranteed by the new Dye Penetration- and Reflects3 System. Ultimate cool color stability preventing off-tone fadage into a warm direction – guaranteed by the break-through CoolProtect Technology. For beautiful, even color results from re-growth to ends. Guaranteed by the Equalizer System 2.0. 100% performance with no compromise on gentleness – guaranteed by patented Coenzyme Technology & new creamy-smooth lotion with IntraLipid™ Technology. "Natural looking hair color. Shiny. Beautiful color!"